Welcome back! If you’ve made it this far, I’m assuming that you already have a game you’d like to play. It’s probably sitting on your table right now, shiny in its cellophane, waiting for you to unbox its pieces and get down to the good bits. Well, what are you still waiting for? Dig in! Pull out the pieces, open up the rules, and see what’s what. Of course, it’s difficult to play a game by yourself. Sure, there are games that allow solo play, but they’re less common and it’s usually not advisable to jump right in by yourself. Your next step, then, is to find a group of people to play with. For some of you, this can be as easy as grabbing some friends or family. But, if there’s no one around who wants in, never fear! There are a couple of options to help you find some like-minded gamers. The first is the ever useful BoardGameGeek.com. Though the site looks a little intimidating at first glance, its contains encyclopedic games knowledge, and it’s an invaluable resource. There’s a section of their forums devoted entirely to local gaming groups, and it’s likely that you can find something near you, particularly if you live near a metropolitan area. Another option are local, community-oriented sites like Meetup.com. They’re free to use, so all you need to do is search for gaming groups in your area, and sign up for an event. Finally, check around your community centers like libraries and schools/colleges. Game stores are another great place to find information on local groups, and sometimes the stores themselves host board game nights. An important note, here, is that while Stranger Danger is still something to be aware of, (seriously, that guy doesn’t have any candy in his big, windowless van) board gamers are generally welcoming folks. They’re nice, and they’ve developed their social skills through years of interacting with other people through games. Don’t let popular misconceptions or old stereotypes prevent you from seeking out new gamers. And don’t fret if you’re the newcomer – just let everyone know what your situation is, and be open to their advice. Ok, so now you have your people. Great! If you’re joining in on an already-established game group, you’re all set. Show up and play games. Done. No, seriously, you’re done. Get out of here! If you’re hosting a game night though, you have a little more prep to do. The most important thing that you need to do before your gamer guests arrive is to READ THE RULES. Dear God, please read the rules. Make sure that you understand at least 80% of what is said. If you have time, watch a playthrough online. (chances are you can just go to Youtube and search for your game). If it’s your game, consider it part of your hosting responsibility to understand what the heck you’re about to dive into. If you don’t take the time to read the rules in advance, your game night will not go well. You’ll be forced to take time away from your guests to sit and read things through, and you’ll have to interrupt play to look things up. Of course, there’s a little of this in every game night, but if you’re spending more time in the rule book than you are playing the game, you may need to rethink how you’re preparing. Make sure that you have the right number of players. The appropriate number will be listed on the box, and if you have too many or too few, you’ll need to find another game or split some people off into a different game. Don’t try to cram everyone in, even if you have only one extra person. The number of players that each can accommodate has been carefully calculated through extensive playtesting. Player guides are a great help, and you should print some out in advance if you’re able. We go over why they’re so lovely here, but just to reiterate: guides contain summaries of the most important game rules. They can be given to all the players at the start of the game so that each person has easy access to helpful tips and reminders, such as how turn order works or which actions can be performed during, before, and after your turn. Think of them as little Frequently Asked Questions handouts and embrace them, because they take away some of your workload. Instead of interrupting you, the person with the rule book, players can first look up their query on their individual sheet. These can save a great deal of time and frustration. Clean hands = happy game. Like the wonderful host/hostess that you are, you’ll be serving food and drinks to your excited guests. Just be sure that your snacks won’t leave their mark on your game. Stay away from greasy or messy treats, or serve them before or after play. Pretzels and candy are great for during the game. Just hold off on the Doritos. The box will give you an estimated length of play, but the first time you run through a game, it always takes longer than anticipated. Our rule is to tack on an additional 30 to 60 minutes (depending on complexity). This gives you time to look up any questions in the rules, take your time setting up, and learning the strategies involved in whichever game you’ve chosen. The more you play the game, and the more you play games in general, the less time you’ll need to allow. Well, that’s it really. Aside from what’s mentioned above, hosting a game night is no different than hosting any other event. So have fun, and try not to get too bogged down in the details. After the night is over, take a moment to ask everyone what they enjoyed or did not enjoy about the evening. If your crowd seems willing, try to set up another event a few weeks out. It’s beneficial to also note what you liked and didn’t like about the game you played, as well as any points of confusion. 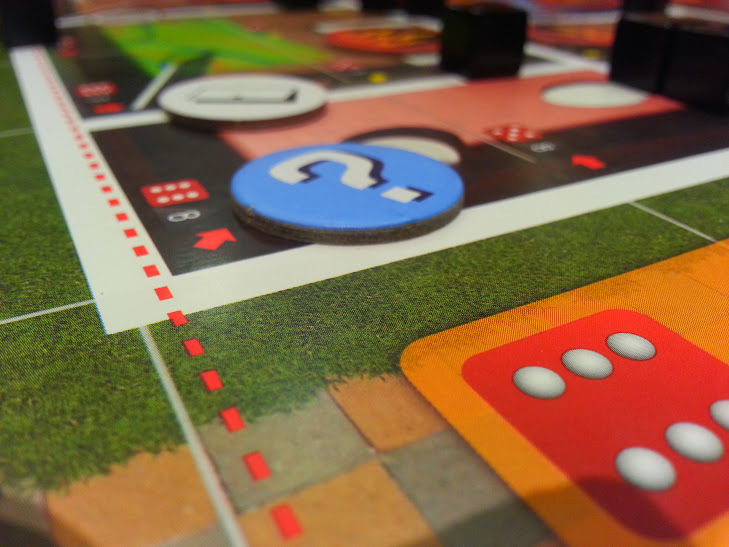 You can look up the answers to a lot of your questions on BoardGameGeek or in our forums, and you’ll be able to find some new game suggestions in both those locations as well. Next time, we’ll talk briefly about how to care for and store your games. Until then, happy play-throughs, everyone!